?...each day in Heaven Declares, you can hear God?s living word whispered into your heart.??Dr. Brian Simmons, The Passion Translation?Heaven Declares is like kindling to start the fire God wants to set in your heart each and every day.? ?Jennifer LeClaire, Senior editor of Charisma Magazine and author of Mornings with the Holy SpiritStart Your Day with a Powerful Prophetic Declaration Straight from God?s HeartSo many people?including professing Christians?live aimless, purposeless, and defeated lives without knowing who they are or what they have. This should not be the case when God has so much to say about your identity and your inheritance in Christ.It?s not enough to simply hear a good sermon once a week.You need to be reminded every single day of God is declaring over you!Hakeem Collins shares inspiring prophetic encouragements that will start your day with a fresh word from Heaven. Quiet your soul and listen to hear God?s voice speaking vision and victory over your life.Grow familiar with God?s voice. Feel the embrace of His Presence. Listen for the Spirit?s constant voice, speaking through the chaos of life. 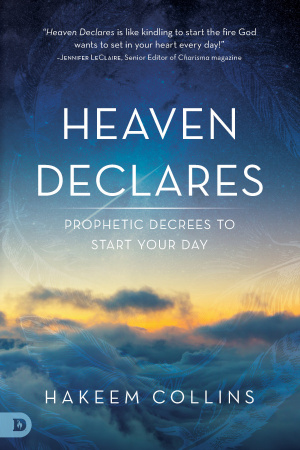 Heaven Declares is a journey that invites the Holy Spirit to powerfully and prophetically begin your day! 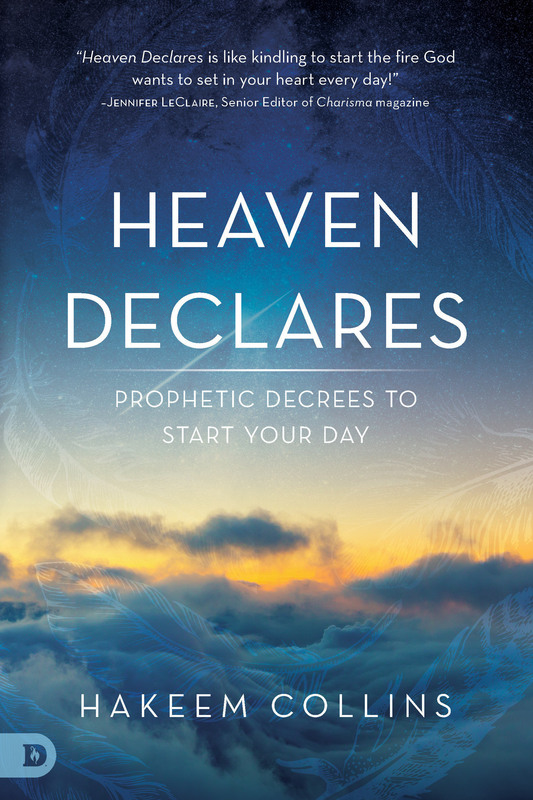 Heaven Declares by Hakeem Collins was published by Destiny Image in August 2016 and is our 27777th best seller. The ISBN for Heaven Declares is 9780768409932. Be the first to review Heaven Declares! Got a question? No problem! Just click here to ask us about Heaven Declares.